A new study by McGill University Health Centre (MUHC) and McGill University researchers provides evidence that cannabis may offer relief to patients suffering from chronic neuropathic pain. 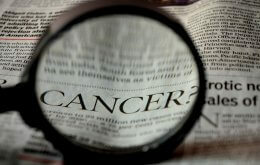 The results of the groundbreaking study are published in the latest issue of the Canadian Medical Association Journal. “This study marks an important step forward because it demonstrates the analgesic effects of cannabis at a low dose over a shot period of time for patients suffering from chronic neuropathic pain,” adds Dr. Ware. The study used herbal cannabis from Prairie Plant Systems (under contract to Health Canada to provide cannabis for research and medical purposes), and a 0% THC ‘placebo’ cannabis from the USA. The article “Smoked cannabis for chronic neuropathic pain,” is published in the Canadian Medical Association Journal (www.cmaj.ca) and was made possible by grants from the Canadian Institutes of Health Research (CIHR). About the McGill University Health Centre (MUHC) One of the world’s foremost academic health centres, the MUHC offers exceptional and integrated patient-centric care, research and teaching. Highly committed to the continuum of care in its community and affiliated with the Faculty of Medicine of McGill University, The Montreal Children’s Hospital, the Montreal General Hospital, the Royal Victoria Hospital, the Montreal Neurological Hospital, the Montreal Chest Institute and the Lachine Hospital of the MUHC value multidisciplinary service throughout the lifespan, innovative technologies and practices, strategic partnerships and leadership in knowledge transfer. The MUHC is currently carrying out a $2.25-billion Redevelopment Project on three campuses-the Mountain, the Glen and Lachine-designed to provide healthcare professionals with an effective environment in which to ensure patients and their families benefit from The Best Care for Life. The campuses are also anchored in best sustainable-development practices, including LEED® and BOMA BESt guidelines. The Research Institute of the McGill University Health Centre (RI MUHC) is a world-renowned biomedical and health-care hospital research centre. Research is organized by eleven research axes (or programs). Located in Montreal, Quebec, Canada, the Institute is the research arm of the McGill University Health Centre affiliated with the Faculty of Medicine at McGill University. The Institute supports over 600 researchers, over 1,800 graduate students and post-docs and fellows devoted to a broad spectrum of fundamental and clinical research. Over 1000 clinical research studies are conducted within our hospitals each year. The Research Institute of the MUHC is supported in part by the Fonds de la recherche en santé du Québec (FRSQ). Founded in Montreal, Que., in 1821, is Canada’s leading post-secondary institution. It has two campuses, 11 faculties, 10 professional schools, 300 programs of study and more than 33,000 students. McGill attracts students from more than 150 countries around the world. Almost half of McGill students claim a first language other than English – including 6,000 francophones – with more than 6,800 international students making up almost 20 per cent of the student body.